Not networkable for desktop eStockCard. With limitations on certain functionality. 30 days trial period for the eStockCard v3 Mobile. 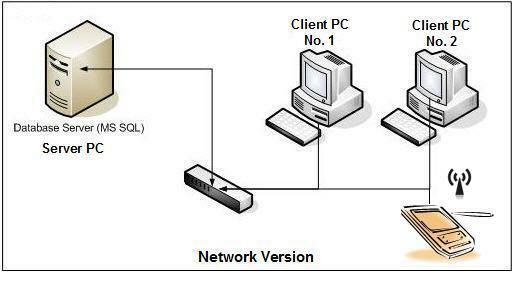 Client and Server program are installed at a single PC. 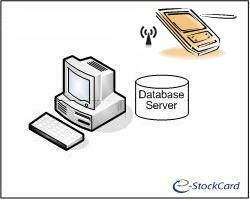 Network-ready and database can be transferred to another dedicated PC with full functionality. Customers should purchase a full license for EACH Client PC so in this case, 2 licenses are required for desktop PC and a license for the eStockCard v3 Mobile. 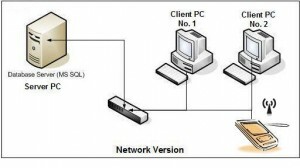 You can either install the Client PC with the Client ONLY program or choose the Standalone (Client + Server) installation. 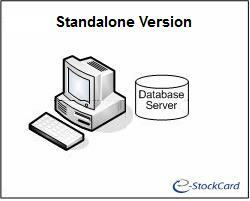 For the Server PC where you store the database, you just install the Server ONLY program or choose the Standalone installation. For the eStockCard v3 Mobile on the mobile computer, the users can just connected to any of the eStockCard Client PC’s IP address via WIFI LAN.